For her aunt, see Elizabeth of York, Duchess of Suffolk. For the granddaughter of George V, see Elizabeth II. Elizabeth of York (11 February 1466 – 11 February 1503) was the wife of Henry VII, and thus the first Tudor queen. She was the daughter of Edward IV and his wife Elizabeth Woodville, and niece of Richard III. She married Henry VII in 1486, after being detained by him the previous year following the latter's victory at the Battle of Bosworth Field, which started the last phase of the Wars of the Roses. Together, Elizabeth and Henry had a total of four sons, three of whom died before their father, leaving their brother, Henry VIII, to succeed his father as king. 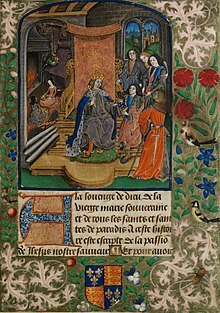 The period of Henry VI's Readeption from October 1470 until April 1471 and the period between her father's death in 1483, when she was 17, and the making of peace between her mother and her uncle Richard, were violent and anxious interludes in what was mostly a peaceful life. Her two brothers, the so-called "Princes in the Tower", disappeared, their fate uncertain. Although declared illegitimate by an act of Parliament, Titulus Regius in 1484, she was subsequently welcomed back to court by her uncle Richard III, along with all of her sisters. As a Yorkist princess, the final victory of the Lancastrian faction in the War of the Roses may have seemed a further disaster, but Henry Tudor knew the importance of Yorkist support for his invasion and promised to marry her before he arrived in England; this was an important move; one which may well have contributed to the hemorrhaging of Yorkist adherence to Richard III. Elizabeth of York was the queen consort of England from 1486 until her death in 1503, but seems to have played little part in politics. Her marriage seems to have been successful. Her eldest son Arthur, Prince of Wales, died at age 15 in 1502, and three other children died young. Her surviving son became king of England and her daughters Mary and Margaret became queen of France and queen of Scotland, respectively; many modern royals, including Elizabeth II, trace their line through Margaret. Elizabeth of York was born at the Palace of Westminster as the eldest child of King Edward IV and his wife Elizabeth Woodville. Her christening was celebrated at Westminster Abbey, sponsored by her grandmothers Jacquetta of Luxembourg, Duchess of Bedford, and Cecily Neville, Duchess of York. Her third sponsor was her cousin Richard Neville, 16th Earl of Warwick. At three, she was briefly betrothed to George Neville in 1469. His father John later supported George's uncle, the Earl of Warwick, in rebellion against King Edward IV, and the betrothal was called off. In 1475, Louis XI agreed to the marriage of 9-year-old Elizabeth of York and his son Charles, the Dauphin of France. In 1482, however, Louis XI reneged on his promise. At age 11, she was named a Lady of the Garter in 1477, along with her mother and her paternal aunt Elizabeth of York, Duchess of Suffolk. On 9 April 1483, Elizabeth's father, King Edward IV, unexpectedly died and her younger brother, Edward V, ascended to the throne; her uncle, Richard, Duke of Gloucester, was appointed regent and protector of his nephews. Her mother, Elizabeth Woodville, tried to deny Gloucester his right to be Lord Protector in order to keep power within her family, and so Gloucester opted to take steps to isolate his nephews from their Woodville relations. He intercepted Edward V while the latter was travelling from Ludlow, where he had been living as Prince of Wales, to London to be crowned king. Edward V was placed in the royal residence of the Tower of London, ostensibly for his protection. Elizabeth Woodville fled with her younger son Richard and her daughters, taking sanctuary in Westminster Abbey. Gloucester asked Archbishop Bourchier to take Richard with him, so the boy could reside in the Tower and keep his brother Edward company. Elizabeth Woodville, under duress, eventually agreed. Two months later, on 22 June 1483, Edward IV's marriage was declared invalid. It was claimed that Edward IV had, at the time of his marriage to Elizabeth Woodville, already been betrothed to Lady Eleanor Butler. Parliament issued a bill, Titulus Regius ("The Title of the King"), in support of this position. This measure legally bastardised the children of Edward IV, made them ineligible for the succession, and declared Gloucester the rightful king, with the right of succession reverting to children of George, 1st Duke of Clarence, another late brother of Gloucester, who had been attainted in 1478. Gloucester ascended to the throne as Richard III on 6 July 1483, with Edward and Richard disappearing shortly afterwards. Rumours began to spread that they had been murdered, and these appear to have been increasingly widely credited, even though some undoubtedly emanated from overseas. Elizabeth's mother made an alliance with Lady Margaret Beaufort, mother of Henry Tudor, later King Henry VII, who had the closest claim to the throne of those in the Lancastrian party. Although Henry Tudor was descended from King Edward III, his claim to the throne was weak, owing to an act of parliament passed during the reign of Richard II in the 1390s, that barred accession to the throne to any heirs of the legitimised offspring of Henry's great-great grandparents, John of Gaunt and Katherine Swynford. Whether such an unprecedented act had force of law is, however, disputed. Whatever the merits of Henry's claim, his mother and Elizabeth Woodville agreed he should move to claim the throne and, once he had taken it, marry Elizabeth of York to unite the two rival houses. In December 1483, in the cathedral of Rennes, Henry Tudor swore an oath promising to marry her and began planning an invasion. In 1484, Elizabeth of York and her sisters left Westminster Abbey and returned to court when Elizabeth Woodville was apparently reconciled with Richard III, which may – or may not – suggest that Elizabeth Woodville believed Richard III to be innocent of any possible role in the murder of her two sons (although this is unlikely owing to her involvement in Henry Tudor's failed invasion of October 1483). It was rumoured that Richard III intended to marry Elizabeth of York because his wife, Anne Neville, was dying and they had no surviving children. The Crowland Chronicle claimed that Richard III was forced to deny this unsavoury rumour. Soon after Anne Neville's death, Richard III sent Elizabeth away from court to the castle of Sheriff Hutton and opened negotiations with King John II of Portugal to marry his sister, Joan, Princess of Portugal, and to have Elizabeth marry their cousin, the future King Manuel I of Portugal. On 7 August 1485, Henry Tudor and his army landed in Wales and began marching inland. On 22 August 1485, Henry Tudor and Richard III fought the Battle of Bosworth Field. Richard III, despite having the larger army, was betrayed by one of his most powerful retainers, William Stanley, and died in battle. Henry Tudor took the crown by right of conquest as Henry VII. An 18th-century copy of Elizabeth of York as queen: She holds the white rose of the House of York. As the eldest daughter of Edward IV with no surviving brothers, Elizabeth of York had a strong claim to the throne in her own right, but she did not assume the throne as queen regnant. Such a precedent would not truly come to England for another 67 years, when her granddaughter, Mary I, acceded to the throne. Though initially slow to keep his promise Henry VII acknowledged the necessity of marrying Elizabeth of York to ensure the stability of his rule and weaken the claims of other surviving members of the House of York, but he ruled in his own right and claimed the throne by right of conquest and not by his marriage to the heir of the House of York. He had no intention of sharing power. He consequently chose to be crowned on 30 October 1485 before his marriage. Henry VII had the Act of Titulus Regius repealed, thereby legitimising anew the children of Edward IV, and acknowledging Edward V as his predecessor – though Richard III was regarded as a usurper, his reign was not ignored. After procuring papal dispensation, Cardinal Bourchier, Archbishop of Canterbury, officiated at the wedding of Henry VII and Elizabeth of York on 18 January 1486 in Westminster Abbey. Their first son, Arthur, was born on 20 September 1486. Elizabeth of York was crowned queen on 25 November 1487. Following her coronation, she gave birth to seven more children, but only four survived infancy: Arthur, Margaret, Henry and Mary. Despite being a political arrangement at first, the marriage proved successful and both partners appear to have grown to love each other. Elizabeth of York did not exercise much political influence as queen due to her strong-minded mother-in-law Lady Margaret Beaufort, but she was reported to be gentle, kind, and generous to her relations, servants, and benefactors. When not at official gatherings, she lived a quiet life largely away from politics with three of her children at Eltham Palace. Elizabeth of York enjoyed music and dancing as well as dicing. She also kept greyhounds. On 14 November 1501, Elizabeth of York's 15-year-old son Arthur married Catherine of Aragon, daughter of King Ferdinand II of Aragon and Queen Isabella I of Castile. The pair were sent to Ludlow Castle, the traditional residence of the Prince of Wales. Arthur died in April 1502. The news of Arthur's death caused Henry VII to break down in grief, as much in fear for his dynasty as in mourning for his son. Elizabeth comforted him, telling him that he was the only child of his mother but had survived to become king, that God had left him with a son and two daughters, and that they were both young enough to have more children. In 1502, Elizabeth of York became pregnant once more and spent her confinement period in the Tower of London. On 2 February 1503, she gave birth to a daughter, Katherine, but the child died a few days afterwards. Succumbing to a post partum infection, Elizabeth of York died on 11 February, her 37th birthday. Her husband and children appear to have mourned her death deeply. According to one account, Henry Tudor "privily departed to a solitary place and would no man should resort unto him." This is notable considering that, shortly after Elizabeth's death, records show he became extremely ill himself and would not allow any except his mother Margaret Beaufort near him. For Henry Tudor to show his emotions, let alone any sign of infirmity, was highly unusual and alarming to members of his court. In 2012, the Vaux Passional, an illuminated manuscript that was once the property of Henry VII, was rediscovered in the National Library of Wales. It depicts the aftermath of Elizabeth's death vividly. Henry VII is shown receiving the book containing the manuscript in mourning robes with a doleful expression on his face. In the background, behind their father, are the late queen's daughters, Mary and Margaret, in black veils. The red head of 11-year-old Prince Henry is shown weeping into the sheets of his mother's empty bed. 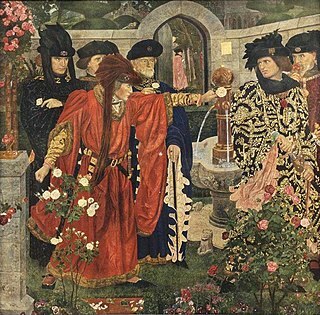 Henry VII entertained thoughts of remarriage to renew the alliance with Spain — Joanna, Dowager Queen of Naples (daughter of Ferdinand I of Naples), Joanna, Queen of Castile (daughter of Ferdinand and Isabella), and Margaret, Dowager Duchess of Savoy (sister-in-law of Joanna of Castile), were all considered — but he died a widower in 1509. Annually on her death day, he decreed a requiem mass be sung, the bells be tolled, and 100 candles be lit in her honour. The Tower of London was abandoned as a royal residence, as evinced by the lack of records of its being used by the royal family after 1503. All future births in the reign of Elizabeth's son, Henry VIII, took place in various palaces. 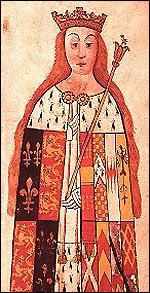 Henry VII's reputation for miserliness became worse after the death of Elizabeth of York, as suggested in the tax collection rolls of the time; however, again, a connection between his avarice and her death is not supported by the evidence. The tax revolts in Yorkshire 1489 and in Cornwall 1497 bear witness to that. It is possible his reputation for miserliness was enhanced by the diminution of the crown's charity work after the queen's death. He was buried with Elizabeth of York under their effigies in his Westminster Abbey chapel. Her tomb was opened in the 19th century and the wood casing of her lead coffin was found to have been removed to create space for the interment of her great-great-grandson James VI and I.
Edward? (b. 1498 – d. 1499) Possibly confused with Edmund. According to folklore, the "queen ... in the parlour" in the children's nursery rhyme "Sing a Song of Sixpence" is Elizabeth of York, while her husband is the king counting his money. The symbol of the Tudor dynasty is the Tudor rose, which became a royal symbol for England upon Elizabeth's marriage to Henry VII in 1486. Her White Rose of York is most commonly proper to her husband's Red Rose of Lancaster and today, uncrowned, is still the floral emblem of England. Elizabeth of York was a renowned beauty, inheriting her parents' fair hair and complexion. All other Tudor monarchs inherited her reddish gold hair and the trait became synonymous with the dynasty. Elizabeth of York by Arlene Naylor Okerlund. New York: Palgrave Macmillan, 2009. Elizabeth of York: Tudor Queen by Nancy Lenz Harvey (out of print). Elizabeth of York, the Lost Tudor Queen by Amy Licence. Amberley 2013. Elizabeth of York by Alison Weir. Jonathan Cape and Ballantine, 2013. The Last Medieval Queens: English Queenship 1445–1503 by J. L. Laynesmith. Oxford, 2004. Elizabeth of York is frequently discussed in Shakespeare's The Tragedy of Richard III, but never appears on stage. Many productions give her an on-stage presence as a silent character, and she is played by Kate Steavenson-Payne in the 1995 film adaption Richard III with dialogue originally assigned to another character. Elizabeth of York was portrayed by Norma West in the 1972 BBC miniseries The Shadow of the Tower. Elizabeth of York was portrayed by Nadia Cameron Blakey in TV drama Princes in the Tower (2005). Welsh actress Caroline Sheen made a cameo as Elizabeth of York in the docudrama Henry VIII: The Mind of a Tyrant in the first episode covering the future monarch's early youth. Elizabeth of York was portrayed by Scottish actress Freya Mavor in the 2013 BBC drama, The White Queen. Elizabeth of York is portrayed by Jodie Comer in the 2017 Starz drama, The White Princess. Elizabeth of York is the subject of Hilda Brookman Stanier's novel Plantagenet Princess, pub. Robert Hale, 1981. Elizabeth of York appears in five of Philippa Gregory's historical novels. The White Princess (2013) follows Elizabeth of York's life from the aftermath of the Battle of Bosworth Field. She is a leading character in Gregory's account of her mother's life, The White Queen (2009), which features Elizabeth of York from the time of her birth to the age of 18. She appears as a supporting character in The Red Queen (2010) and in The Kingmaker's Daughter and appears briefly in The Constant Princess (2005). In these novels, Elizabeth of York is portrayed as deeply in love with her uncle Richard, whom she hoped to marry rather than Henry Tudor, but eventually grows to love and care for her husband. Elizabeth of York also appears in The Tudor Rose by Margaret Campbell Barnes (1953, reissued 2009), Elizabeth the Beloved by Maureen Peters (1972), The Dragon and the Rose by Roberta Gellis (1977), The King's Daughter by Sandra Worth (2008), Uneasy Lies the Head (1982) (reissued as To Hold the Crown: The Story of Henry VII and Elizabeth of York (2008)) by Jean Plaidy and The King's Grace by Anne Easter Smith (2009). Elizabeth of York appears in Brenda Honeyman's novel Richmond and Elizabeth (1970) about the lives of Henry Tudor and Elizabeth of York before and during their marriage, which is complicated in the novel by Henry's resentment and coldness and by Elizabeth's incestuous love for her uncle, the dead King Richard III. Elizabeth of York appears in Sharon Kay Penman's first novel, The Sunne in Splendour, where she is portrayed as having loved her uncle, King Richard III, and briefly having false hopes of becoming his wife. Elizabeth of York appears in Anne Powers's novel Queen's Ransom, in three of four sections. This book is told from the point of view of each queen during the Wars of the Roses, so Elizabeth of York appears in her mother's (Elizabeth Woodville) and her second cousin's (Anne Neville) sections as well as her own. Elizabeth of York appears in Judith Arnopp's novel A Song of Sixpence: The Story of Elizabeth of York and Perkin Warbeck (2015). Elizabeth of York is the main character in Samantha Wilcoxson's Plantagenet Princess, Tudor Queen (2015). This novel begins during Elizabeth's childhood and follows her life through the turbulent years following her father's death and her marriage to Henry Tudor. Elizabeth is portrayed as a pious woman who is devoted to her husband, though she continues to search for the truth about her missing brothers, the Princes in the Tower. ^ Maclagan, Michael; Louda, Jiří (1999). Line of Succession: Heraldry of the Royal Families of Europe. London: Little, Brown & Co. p. 22. ISBN 1-85605-469-1. ^ Her husband's arms (the royal arms of England) are impaled with her own paternal arms: Femme: quarterly, first: Royal arms of England (Lionel of Antwerp, 1st Duke of Clarence), second and third: Or, a cross gules (de Burgh), fourth (Mortimer).The House of York Archived 4 March 2016 at the Wayback Machine. These arms were also borne by her half-brother Arthur Plantagenet, 1st Viscount Lisle, KG, and emphasised the descent of the House of York from Lionel of Antwerp, 1st Duke of Clarence, on which relationship its claim to the throne was founded. ^ Carson, Annette. "Richard III. The Maligned King." ^ "The House of Tudor". Retrieved 20 September 2013. ^ "Richard III – King – Biography.com". Biography.com. Retrieved 5 September 2016. ^ "BBC – History – Historic Figures: The Princes in the Tower". bbc.co.uk. ^ Barrie Williams, "The Portuguese Connection and the Significance of the 'Holy Princess'", The Ricardian, Vol. 6, No. 90, March 1983. ^ Williamson, Audrey. The Mysteries of the Princes. ^ Blackstone, W. (1765). Commentaries on the Laws of England. Oxford: Clarendon Press. ^ Arlene Okerlund: Elizabeth of York (2009), pp. 99–118, 185–186, 203–204; Williams (1977), p. 143. ^ Routh, Charles Richard Nairne; Holmes, Peter (1990). Who's Who in Tudor England. London: Shepheard-Walwyn. ISBN 0-85683-093-3. Retrieved 25 July 2009. ^ Ambrosius, Lloyd E. (2004). Writing Biography: Historians & Their Craft. U of Nebraska Press. pp. 65–. ISBN 0-8032-1066-3. ^ "» Elizabeth of York and her Kings – Henry VII". Nerdalicious. ^ Chrimes, Stanley. Henry VII. ^ Stanley, Arthur (1886). Westminster Abbey. London: John Murray. p. 499. ^ Harvey, Nancy Lenz (15 November 1973). Elizabeth of York: Tudor Queen. ISBN 978-0-213-16454-6. Wikimedia Commons has media related to Elizabeth of York. Richard of Shrewsbury, Duke of York KG, was the sixth child and second son of King Edward IV of England and Elizabeth Woodville, born in Shrewsbury. 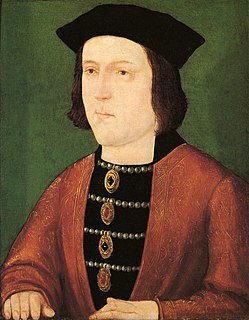 Richard and his older brother, who briefly reigned as King Edward V of England, mysteriously disappeared shortly after Richard III became king in 1483. Catherine Woodville was an English medieval noblewoman. She was the sister-in-law of King Edward IV of England and gave birth to several illustrious children. Catherine was the daughter of Richard Woodville, 1st Earl Rivers, and Jacquetta of Luxembourg. When her sister Elizabeth married King Edward IV, the King elevated and promoted many members of the Woodville family. Elizabeth Woodville's household records for 1466/67 indicate that Catherine was being raised in the queen's household. The White Queen is a 2009 historical novel by Philippa Gregory, the first of her series The Cousins' War. It tells the story of Elizabeth Woodville, queen consort of King Edward IV of England. The 2013 BBC One television series The White Queen is a 10-part adaptation of Gregory's novels The White Queen, The Red Queen (2010) and The Kingmaker's Daughter (2012), and features Rebecca Ferguson as Elizabeth Woodville.